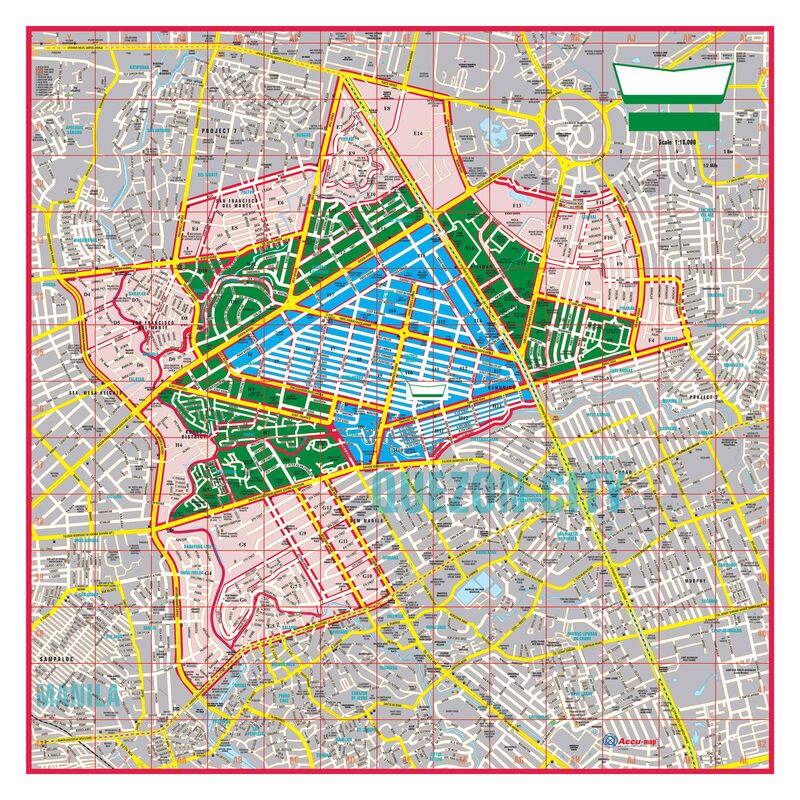 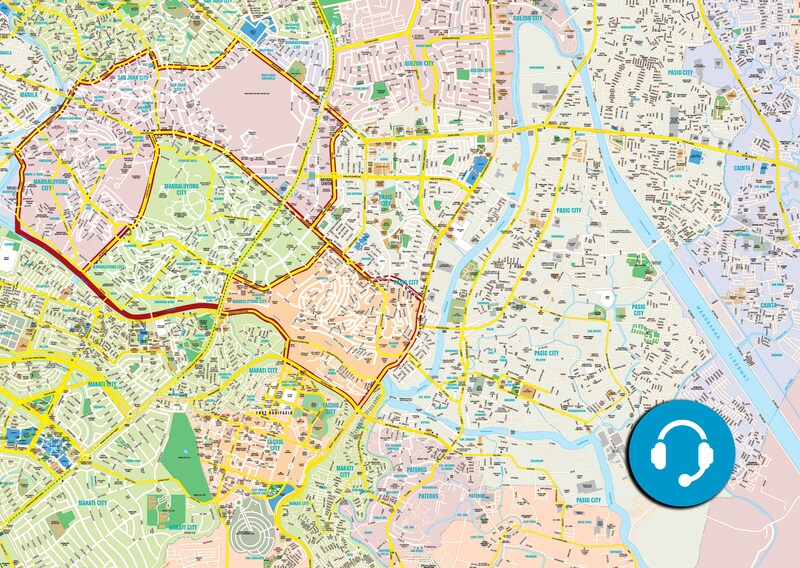 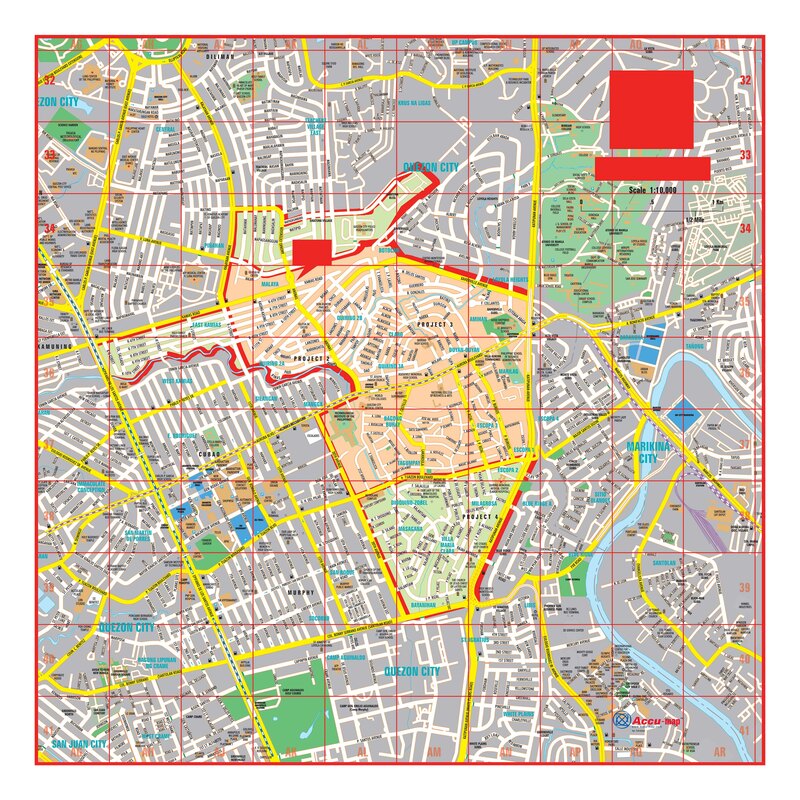 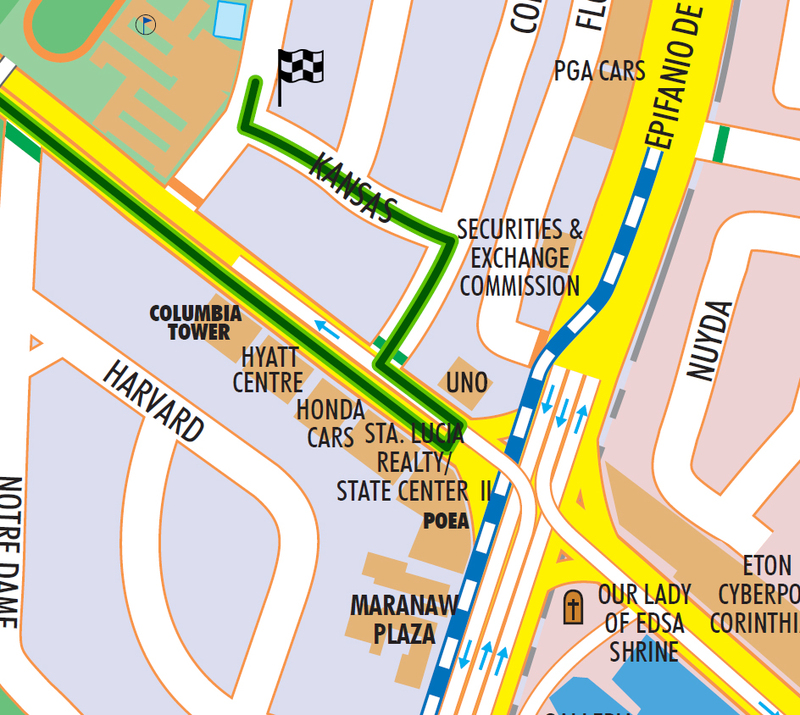 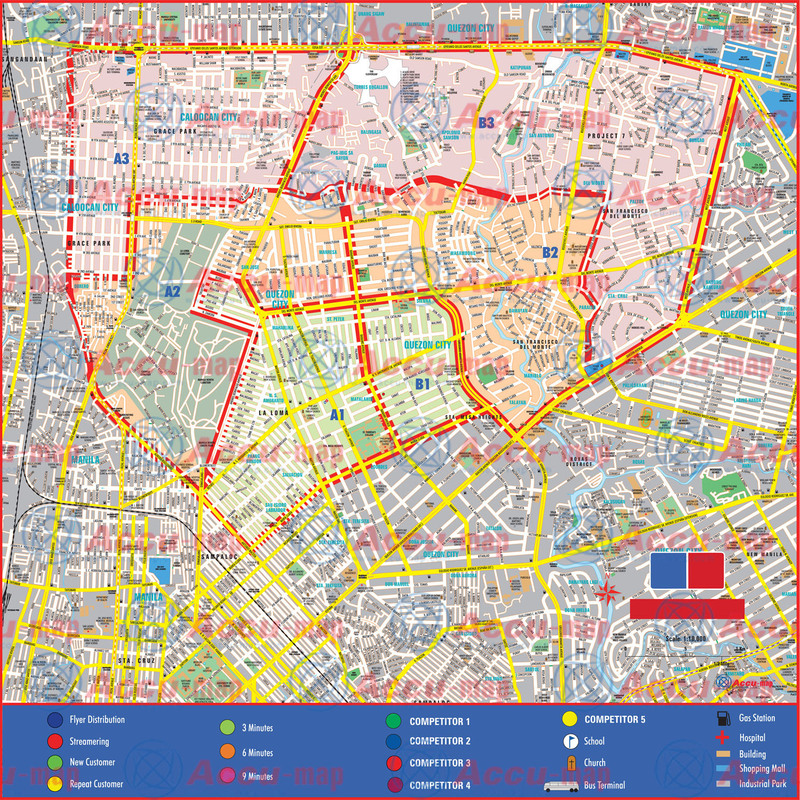 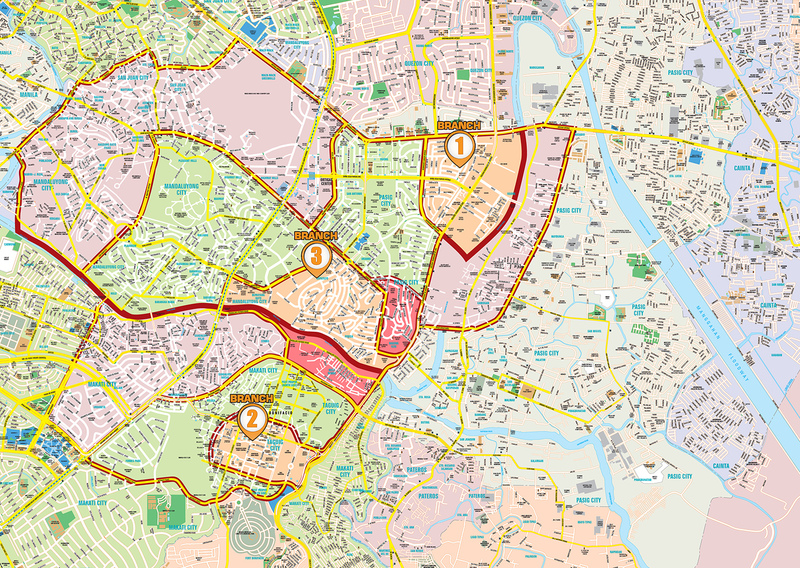 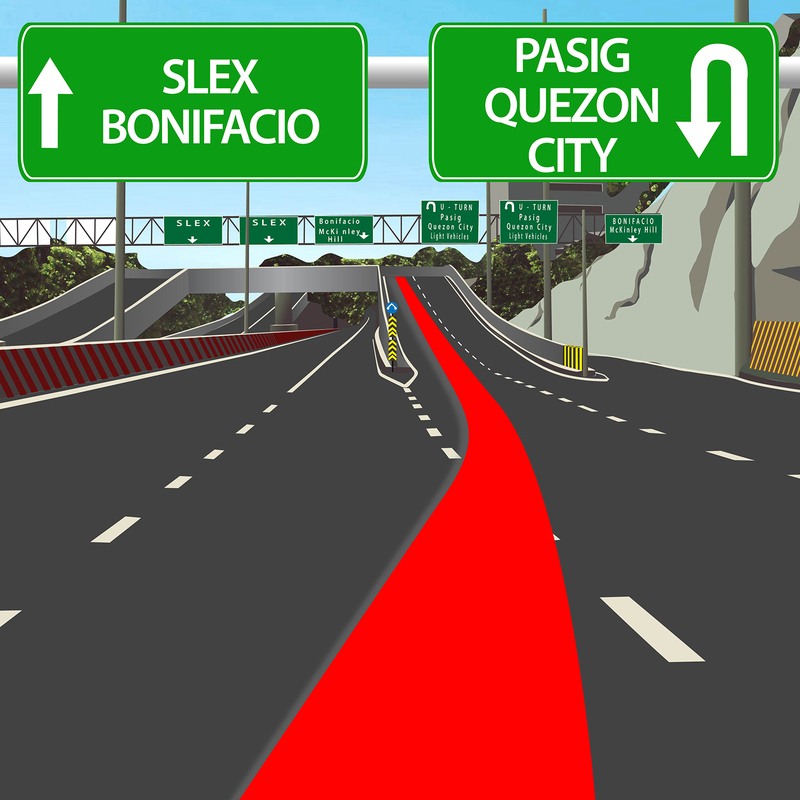 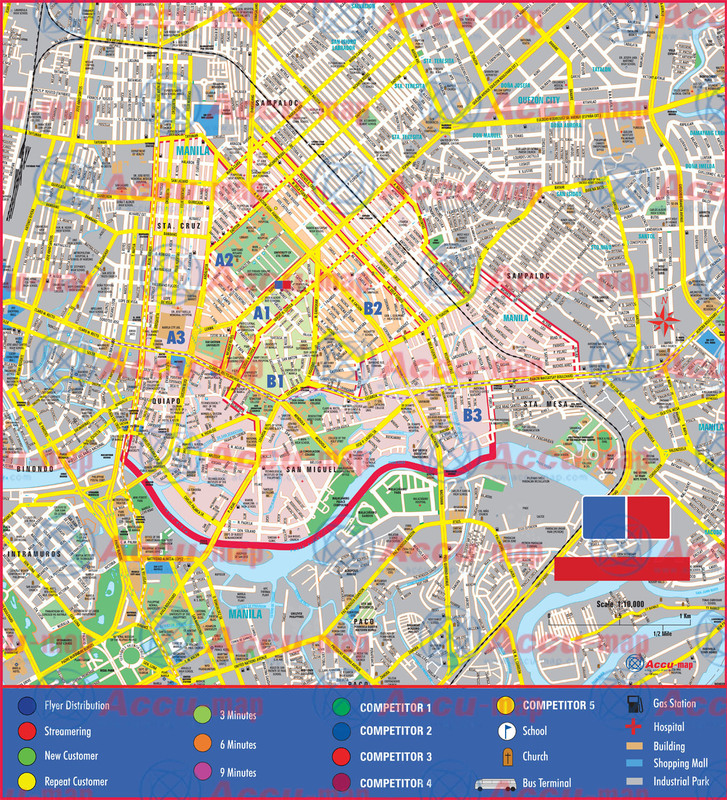 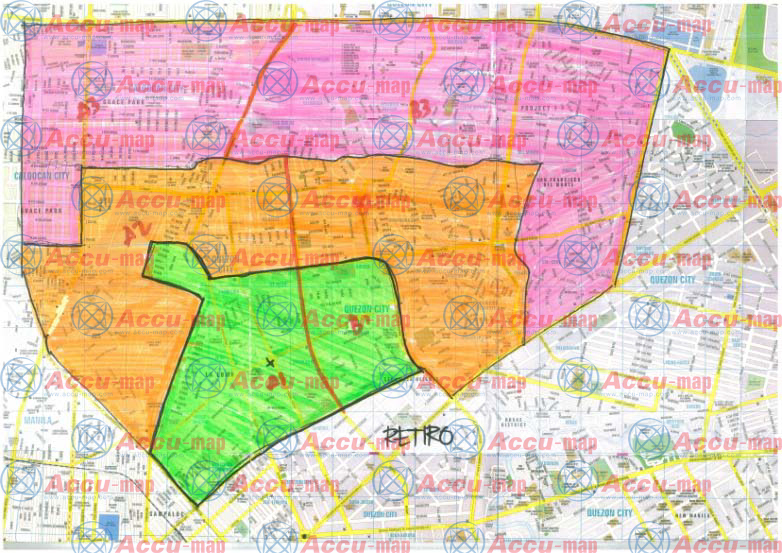 We provide base maps that includes all roads, names, points of interest, road classifications and restrictions such as one-way streets, permanent road blocks and provate villages (with limited access to non-residents) which may include 3D landmarks and buildings, depending on the specifications of the clients. 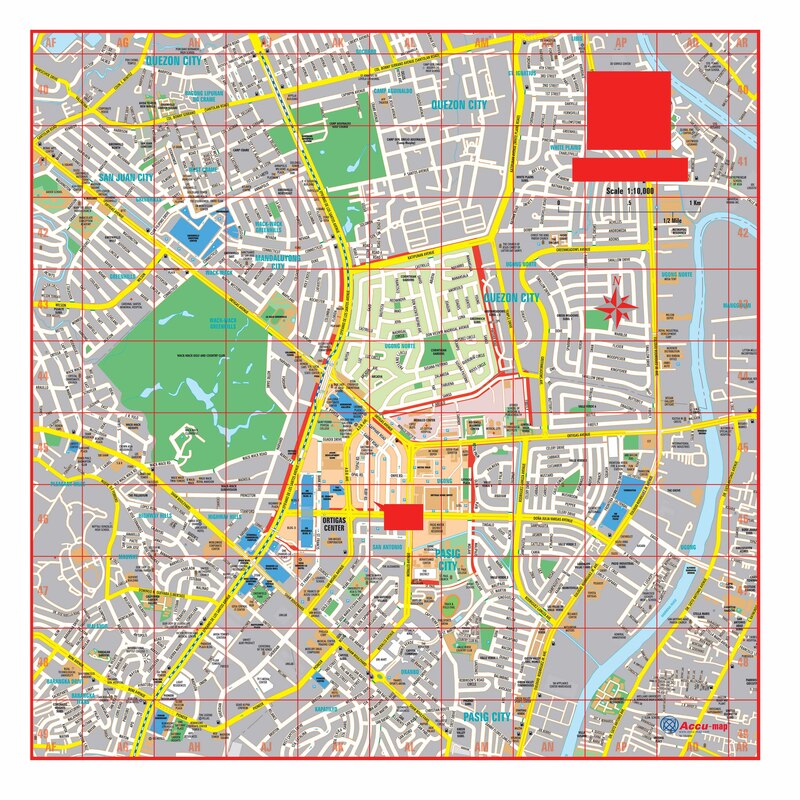 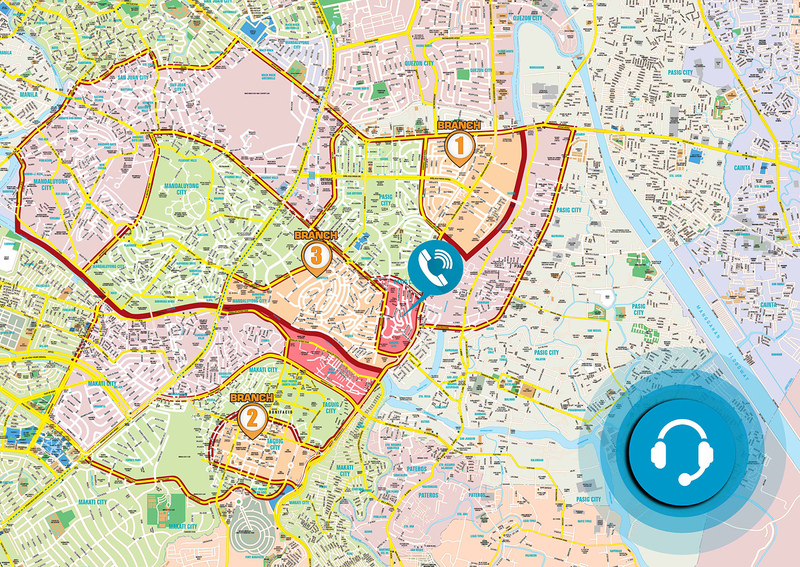 Delivery maps and Retail Trade Areas (RTA) are required by clients to help them manage their fleet and delivery requirements. Call centers are provided calculated times depending on their requirements within a specific RTA to maximize efficiency of delivery. 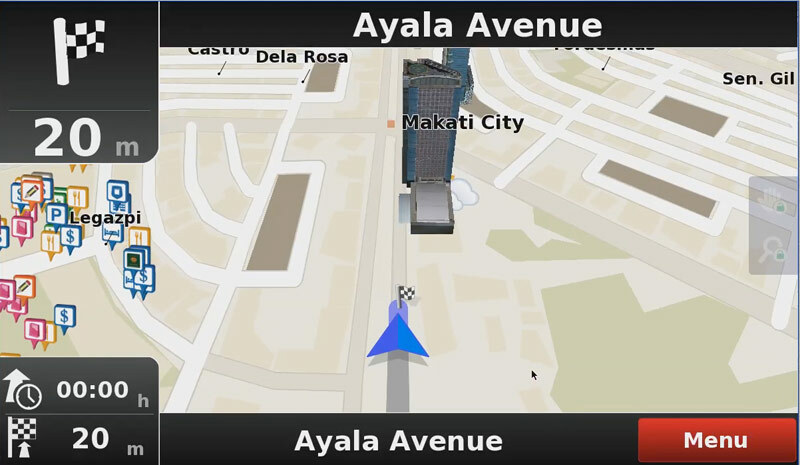 With the use of turn and road restrictions, stop lights and day time traffic included in our map data, alternative routes may be suggested for efficient and time saving delivery. 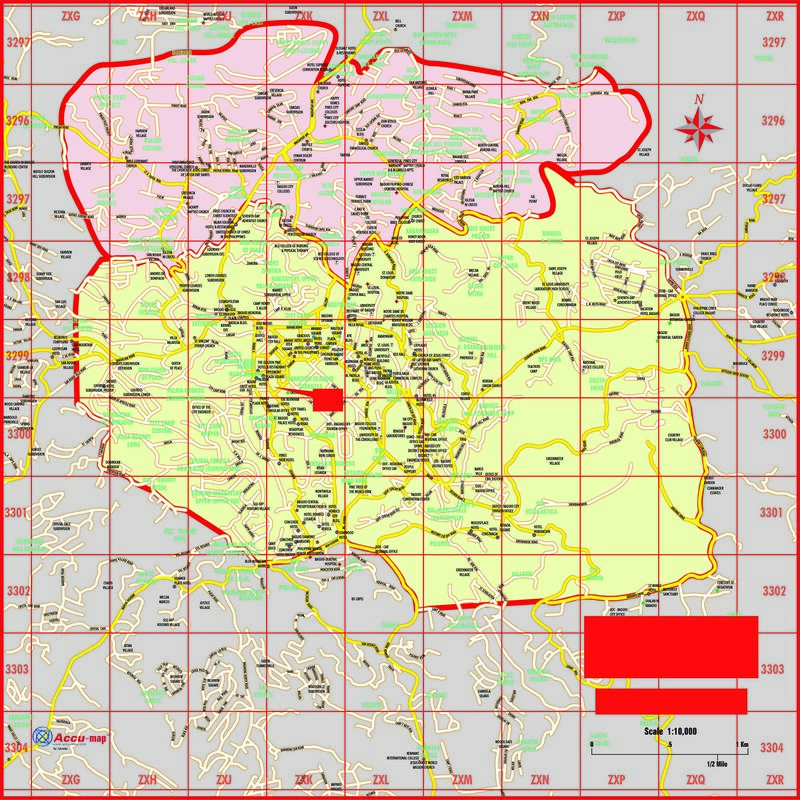 Turn restrictions are useful especially to identify privately gated villages, oneway streets , permanents / temporary roadblocks. 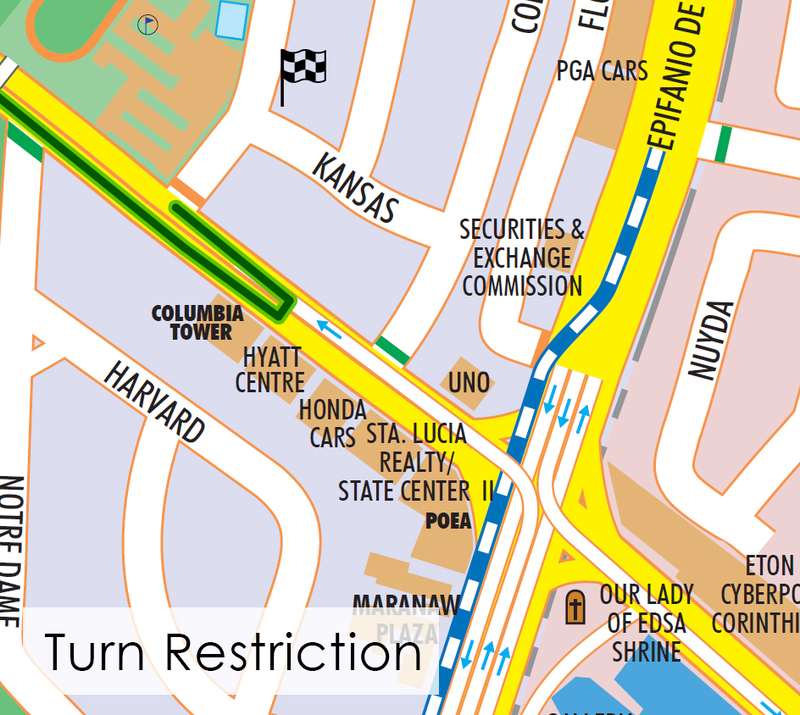 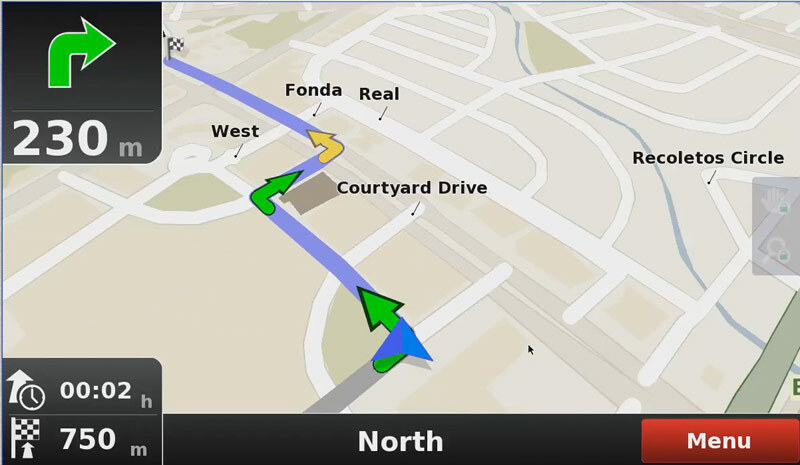 Our map data identifies these restrictions to help navigation with less errors .